This chocolate avocado mousse has a salted caramel topping and a biscuit base. It could not be more simple to make and is dairy free, gluten free and refined sugar free. All it takes is a blending of each layer then pouring together. There is no added oil but it is creamy and decadent with the cashews and avocado. 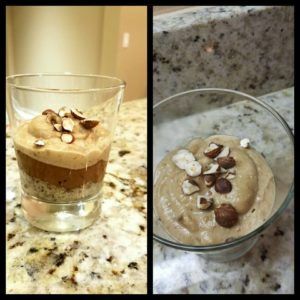 I made this recipe and my husband loved it too! Its delicious! 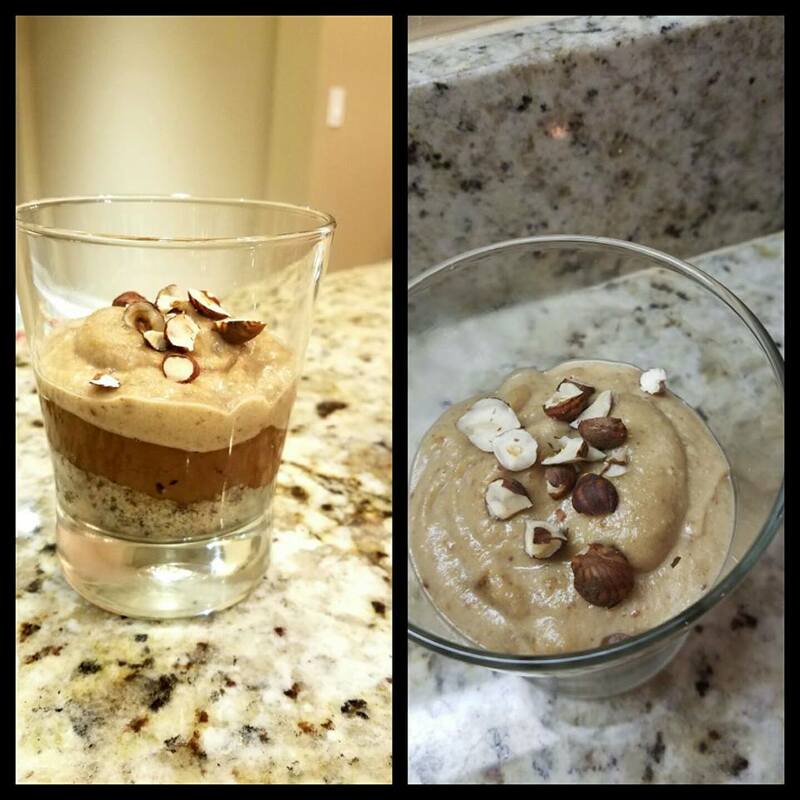 I encourage you to try it, you will definitely want to make it again and again! It’s all raw and the only fats are from whole fruit and nuts. Feel free to replace the maple syrup with any other sweetener. It’s important to use ground cacao as unless it is very fine it will not combine well with the avocado (and you could get green avocado lumps). Any plant based milk works well with this. My favorite is to use a freshly made sunflower seed milk. This gives an earthy flavour that gives the desert a mocha chocolate taste. To make sunflower seed milk soak 4 tbsp sunflower seeds in water for an hour. Then drain then blend with a cup of water / 240ml and strain with a sieve. Blend the base ingredients until they are all broken up and stuck together in a ball. Scoop out the avocados and blend together with all the other mousse ingredients. You may need to add some more milk to help the blender make a smooth mousse. Taste the mousse and add more sweetener if needed. I usually use 3 tbsp but you may need to double this if you prefer a sweeter desert. Blend all of the salted caramel ingredients together with enough water to make a silky smooth caramel. Push the base into the serving pot, spoon on the mousse, pour the salted caramel and then top with chopped nuts. Enjoy immediately or store in the fridge and eat within 3 days.